The next step in server and application security is the Security Specialist certification. 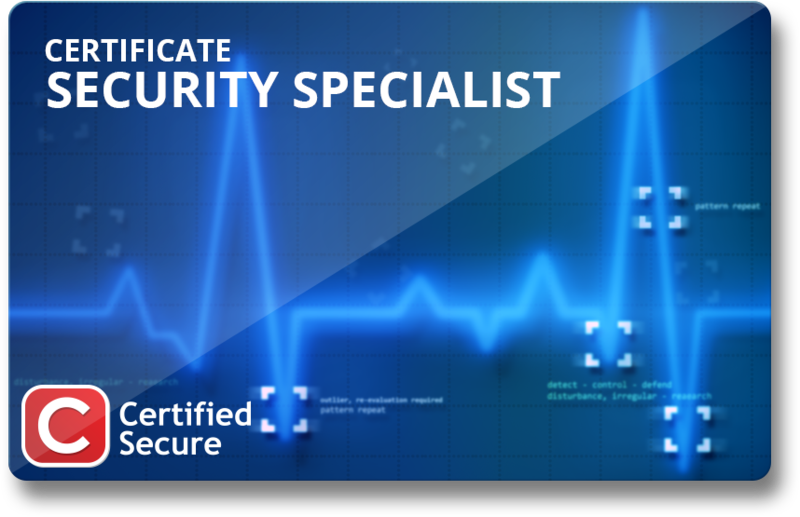 The Security Specialist Certificate is a must-have for every security professional. It provides you with a competitive advantage. The Security Specialist certification guarantees you understand the most common security threats for web applications and servers, are able to perform a port scan and software version scan and that you are able to find and prevent Cross Site Scripting, advanced SQL Injection and advanced Path Traversal. The first part of the Security Specialist certification: the “Connect the packets” quiz. If you have basic knowledge of network protocols you should be able to complete this challenge successfully without difficulty. Date My Ports! This challenge evolves around the exclusive invite-only online dating service Match4all. Your SQL Injection and Cross Site Scripting skills might help you to find your perfect match. You score 100% if you gain access to the admin interface of Match4all and you make your ideal match. The second quiz of the Security Specialist certification: Name that vulnerability! If you have basic knowledge of security threats on servers and websites you should be able to complete this challenge successfully without difficulty.